Every woman loves a man who can make her laugh, and while Robin Williams may not have been one of Hollywood’s hottest looking actors, you couldn’t help but fall in love with him every time he was one screen. How do you say goodbye to such a talent? How do you pay respect to a performer who gave us all such wonderful memories full of laughter and love? Robin Williams passed away on August 11 at the age of 63. When the news of William’s suicide was announced, you could feel a collective gasp throughout the country, which left everyone a little somber and confused. According to his wife Susan, he was in the early stages of Parkinson’s disease. The insanely talented performer was an Academy Award winner, Grammy Award winner, Emmy winner, SAG winner, and People’s Choice winner. He was a loving father of three children and a husband. All of this was not enough to make him feel truly happy. Given his well-publicized troubles with depression, addiction, alcoholism and a significant heart surgery in 2009, Mr. Williams should have had a résumé filled with mysterious gaps. Instead, he worked nonstop. Williams has been nothing if not prolific. 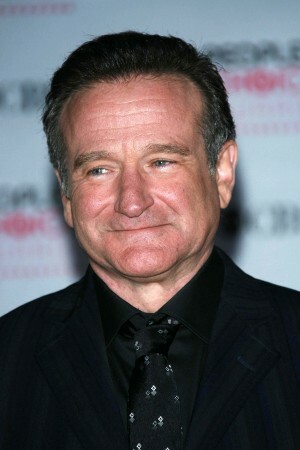 After first finding fame in the late 70s as a kooky space alien in the sitcom Mork and Mindy, he became better known as a standup comedian, but his astonishing performance in Good Morning Vietnam earned him an Oscar nomination in 1988, with two more in the following five years, for Dead Poets’ Society and The Fisher King. Mrs. Doubtfire, in which he dragged up to play a nanny, brought wider mainstream success, and in 1998 Good Will Hunting finally won him an Oscar. Williams spoke openly last month about pursuing 12-step treatment at a Minnesota facility. He was open about the challenges of maintaining sobriety, and sought treatment in 2006 when he relapsed and returned to drinking after 20 years. The best thing for all of us, and the thing Robin could have probably used the most, is for us all to watch his work and remember how much we loved his talent. Whether you want to watch him in drag in Mrs. Doubtfire, swallowing spinach in Popeye or leading a group of youthful men through the trials of life in Dead Poets’ Society, simply enjoy the man for the joy he brought us all, even while knowing the sadness that he had within.